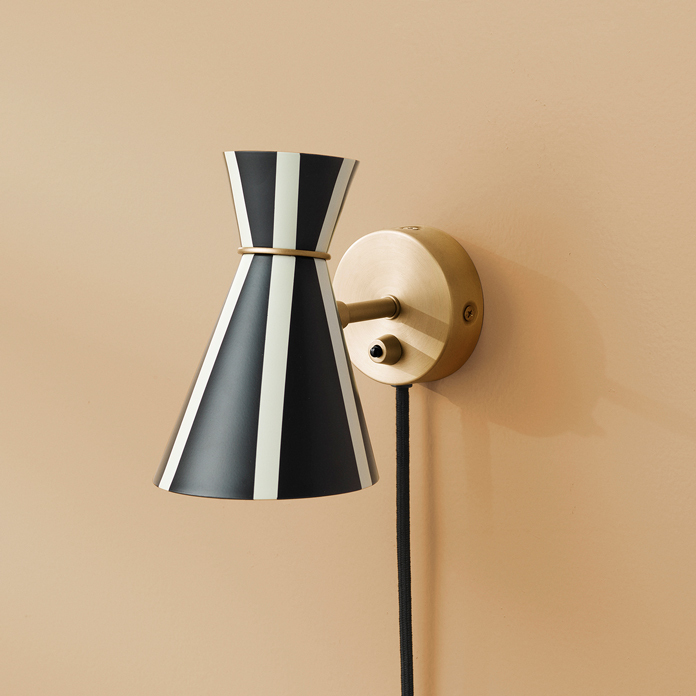 An exquisite little wall lamp with a rigorous design, designed in the 1950s by the internationally acclaimed grand master of Danish lighting design, Svend Aage Holm-Sørensen. The lamp takes up very little space and is perfect for a wide range of rooms, in which direct light will make it possible to read in bed or create atmospheric wall lighting in a living room, kitchen or hallway. Its combination with solid brass lends the wall lamp a classic look, and the brass ring on the light metal shade is an elegant detail. The wall lamp comes in two versions. There is a self-coloured model that offers beautifully simple lighting, and a more eye-catching stripy model that draws more attention to itself on the wall as if it had donned a fancy party frock for the occasion. It is a sophisticated design statement that comes across just as vibrant and tasteful as it did when it first appeared in the 1950s. The lamps come in Warm Nordic's exclusive silky matt quality paint, which guarantees an extraordinarily beautiful and durable surface. 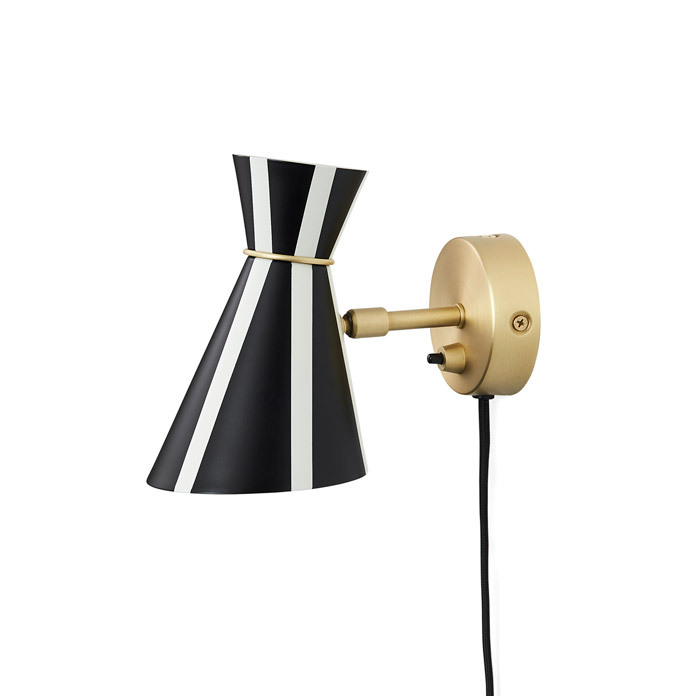 The wall lamp comes in a self-coloured version and a more striking, stripy version. The elegant Bloom wall lamp was originally designed in the 1950s, an era famous for its pioneering lighting design. The wall lamp is part of the Bloom range, which also features an iconic table lamp and a pendant, all designed by Svend Aage Holm-Sørensen. Bloom features a rigorous silhouette and beautiful, solid brass details. The lamps represent the essence of an era, in which the Danish lighting specialist together with architects and designers from all over the world invested huge energy and passion in the art of lighting and created unique lighting designs. The Bloom wall lamp has been specially selected for the Warm Nordic range as a tribute to iconic Nordic design that invests modern décor with invaluable diversity and depth.